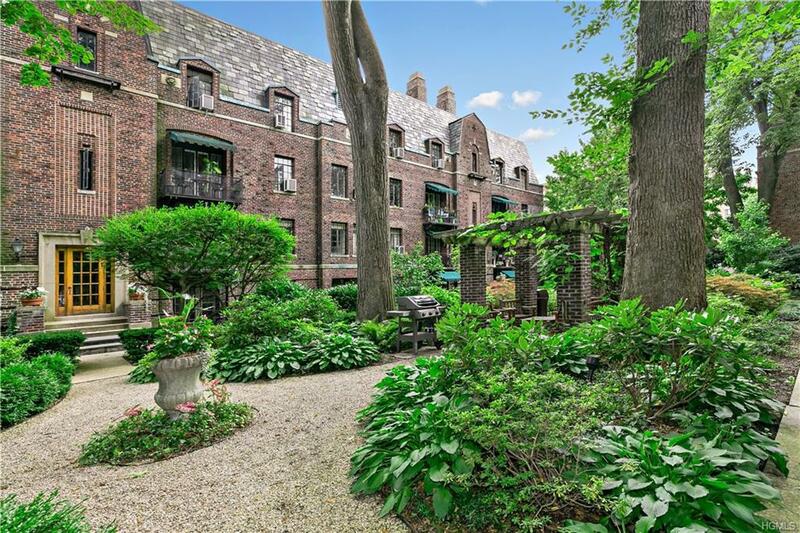 Dignity and grace in architectural detail and timeless elegance endure at this 1928 masterpiece called The Broadlawn. Sunlight streams through an open floorplan with generously proportioned rooms, this captivating one-bedroom has been tastefully and thoughtfully updated. A gleaming eat-in kitchen and a sparkling bathroom complete this special home. 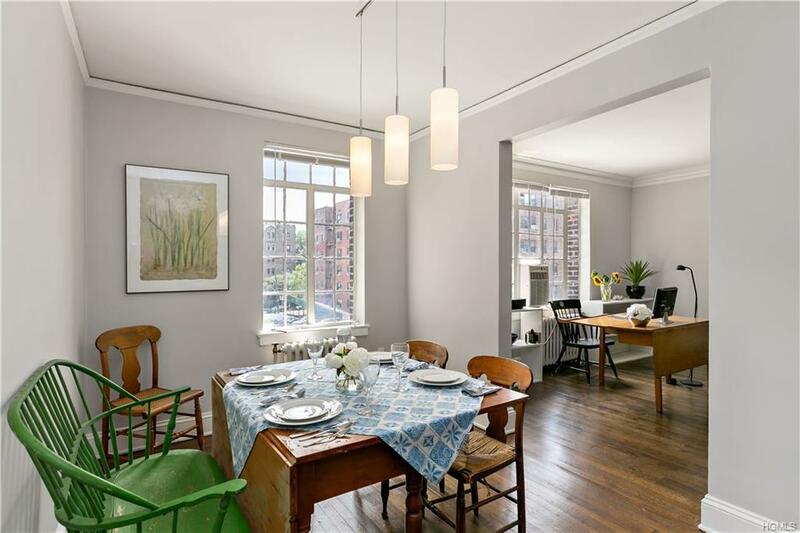 Spacious rooms with oversized windows enhance this beautiful apartment. 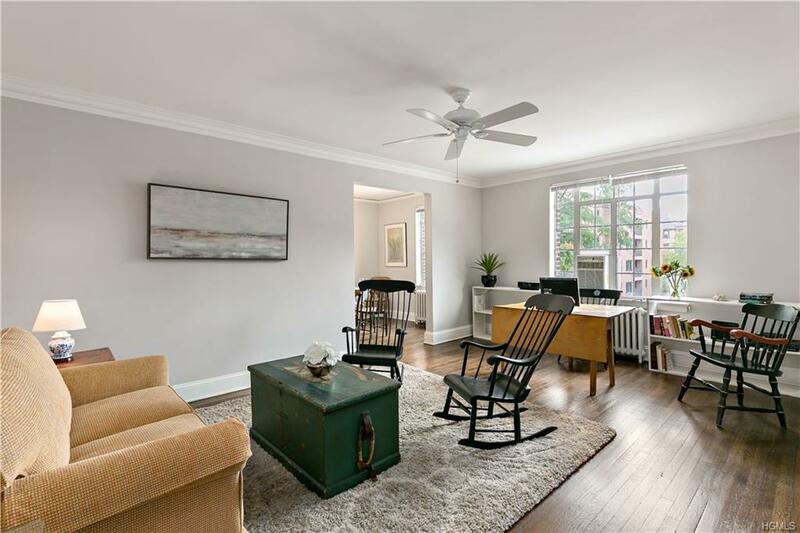 Pre-war details in lovely hardwood flooring, plaster walls, and crown moldings. Sublime landscaping frames a courtyard with pergola & BBQ for Al-Fresco dining. 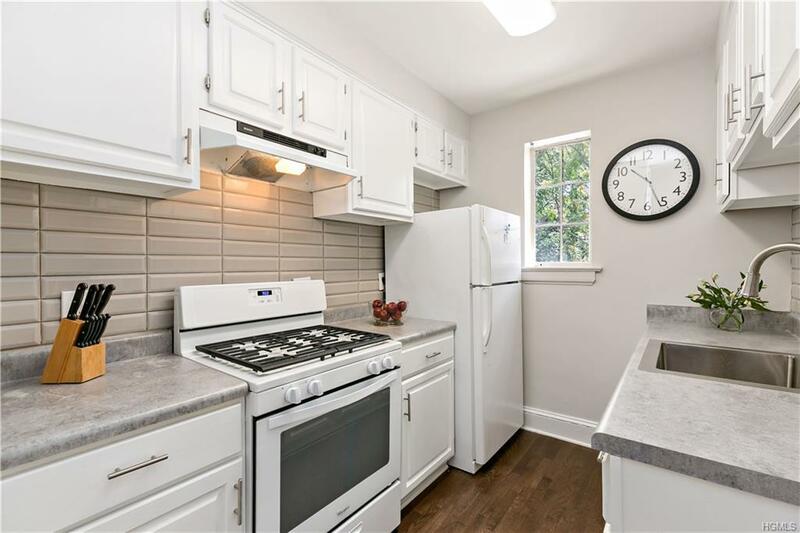 Walking distance to trains, shopping, and entertainment. 32 minutes to Grand Central Station. Dogs permitted with board approval. Listing courtesy of George Kiaffas of Houlihan Lawrence Inc..